Do You Want to Take Advantage of SEO Hosting? When you are looking at SEO hosting services, you may find that they vary quite a bit in their offerings. Most likely, you are familiar with what SEO is which is search engine optimization. When first building your site, this is something that you should have focused on when it came to building your content and also kept it in mind during the layout of your site. Now you need to consider whether this is something you want to perfect when it comes to your hosting provider. SEO hosting may be a combination of the standard methods of optimization along with some non-standard methods. When you are looking at companies that offer SEO hosting, they may also be referring to providing content creation services to you. In most cases, what they are offering is multiple Class C Internet Protocol numbers as well as other services that are considered to be search engine optimization friendly. Understanding the Internet Protocol and how it works gives you a little bit of a better understanding at how the SEO hosting works. Major search engines frown upon multiple websites that are owned by the same person, containing very similar information, being linked to each other. The search engines are able to identify this by the Internet Protocol address which is the number that has been assigned to the operator’s computer. To get around this, some hosting companies will offer unique Internet Protocol numbers working on the class C segment of that server. Some hosting companies will even go further than this and offer branded name servers that possess distinct class C Internet Protocol addresses. What this will allow the website owner to do is have more than one site under the same company residing on the same server. The search engines are not able to detect this. If it is found that individuals are building link farms which are multiple websites owned by one owner, linking to each other, then the owner of these sites and the sites themselves can become penalized. For those companies that are providing SEO hosting, they may not be go as far as to provide the unique Internet Protocols, but may offer SEO consultation along with the hosting service that they are offering. By making use of a SEO hosting service, you will find that they have specialized in this area and as a result, they have more Internet Protocol numbers available than what the traditional web hosting companies do. They will have in their possession hundreds of class C Internet Protocols to rely on. The advantages of using this type of hosting is that each of your site will have its own distinct Internet Protocol Number rather than having to share one number across other hosting accounts. Another advantage of using different Internet Protocol numbers is that it can help with your international search engine optimization as well. What must be remembered is that major search engines will use the Internet Protocol addresses as a way of determining what rank to place a website. Sometimes what can happen is that a site that is on a server that is hosted with the same Internet Protocol is penalized and it could affect an innocent site on the same server as well. 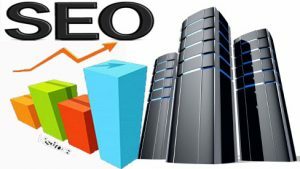 It is important when choosing providers of SEO hosting that you fully understand what it is that they are offering, specifically with respect to search engine optimization. Ideally, you should be using a local host provider and as such take the time to seek out SEO hosting providers that are within your area that can provide you with the type of SEO services that you are specifically looking for.